Very friendly personnel. Rooms were very clean. Nice swimming pool. Quiet surroundings. Top price-quality!! I liked the atmosphere of this studio-hotel - its very cozy and the staff is very friendly and helpful. We stayed in a very comfortable studio with large terrace, which was equipped with all necessary appliances and kitchenware, cleaned every day. The pool is with clean water, sufficient sunbeds and nice shades from surrounding palms. At our staying time, the hotel was almost full, but it was not feeling crowded. The sandy (!) beach and city center is in walking distance, making this hotel quiet but not secluded. Un accueil fantastique par l'équipe et notamment Ketsa, la propriétaire. Très prévenante, elle nous a écrit pour nous rassurer malgré le retard de notre avion et notre arrivée nocturne, nous a laissé un mot et des explications à l'arrivée. Expérience très agréable avec une hôtesse attentionnée qui parle anglais (langue maternelle) et grec. Les conseils de la propriétaire : où aller, comment s'y rendre ... pour apprécier notre séjour malgré sa courte durée ! Petit déjeuner copieux et très bon. Une jolie piscine et une proximité surprenante avec les plages et la route principale de Faliraki Le rapport qualité / prix est très intéressant ! 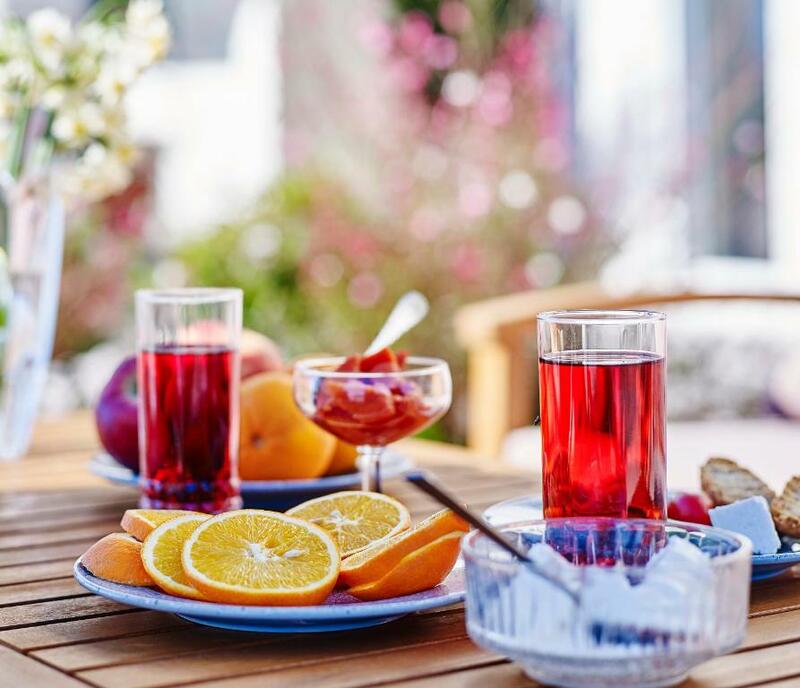 hôtel très familiale ,petit déjeuner très copieux ,hôtel au calme ,piscine et jacuzzi très bien également, la patronne est très gentille et fait le maximum pour ses clients , si je retourne sur l'île c'est de nouveau à cet établissement que je m'y rendrais. La gentillesse et la bonne humeur de ketsa n ont d’égale que son dynamisme merci ketsa pour tout . La proximité de toutes les commodités, l’accueil Chaleureux du personnel. Bella struttura. Camera spaziosa. Grazioso balconcino. Ottima aria condizionata. Pulizia della Camera giornaliera. Cambio lenzuola ed asciugamani frequente. Ottima accoglienza . La struttura comoda e carina, la posizione strategica per muoversi su tutta la Costa e per Raggiungere facilmente di sera Rodi per la vita notturna. La piscina piccola e pulita. Le stanze ben attrezzate con comode verande e stendino. L’host accogliente e simpatica: ogni giorno ci suggeriva un nuovo itinerario e una caletta da esplorare. Hotel assolutamente consigliato. הכל היה מעולה מארחים אדיבים ומאוד עוזרים קרוב לכל הפאבים ולים בריכה קטנה וטובה היה מאוד כיף ! Lock in a great price for White Palace Studios – rated 8.8 by recent guests! 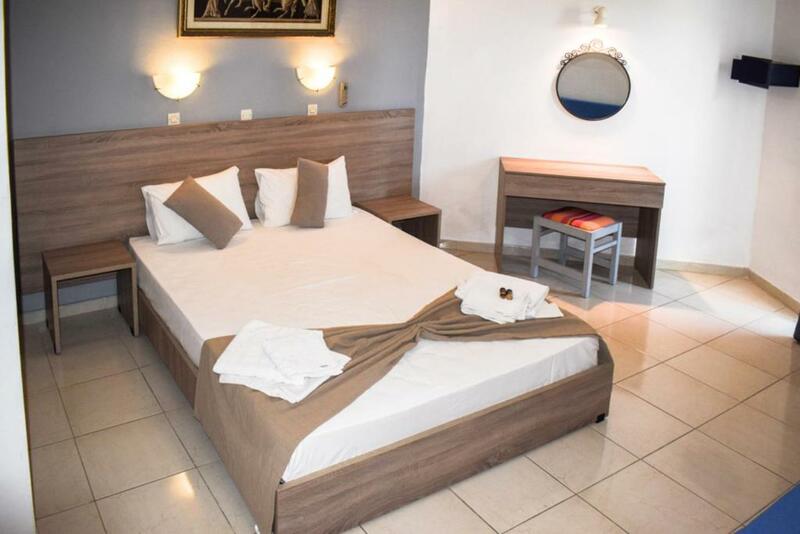 The White Palace is located within a 2-minute walk from Faliraki city center and within a 5-minute from the beach. It offers free Wi-Fi in all hotel areas and free on-site parking. Self-catering accommodations at the White Palace includes satellite TV and free safety deposit box. A kitchenette with fridge, and balconies with pool or garden views are available. The BBQ is also free of charge. The White Palace features a swimming pool with hot tub. At the pool bar guests can enjoy snacks and refreshing cocktails. An internet corner can be found on the ground floor. Nearby, there is a supermarket, restaurants, clubs and bars. On the beach guests can enjoy water sports, such as water skiing and kite surfing. Within proximity there is a water park and a naturist beach further along. When would you like to stay at White Palace Studios? 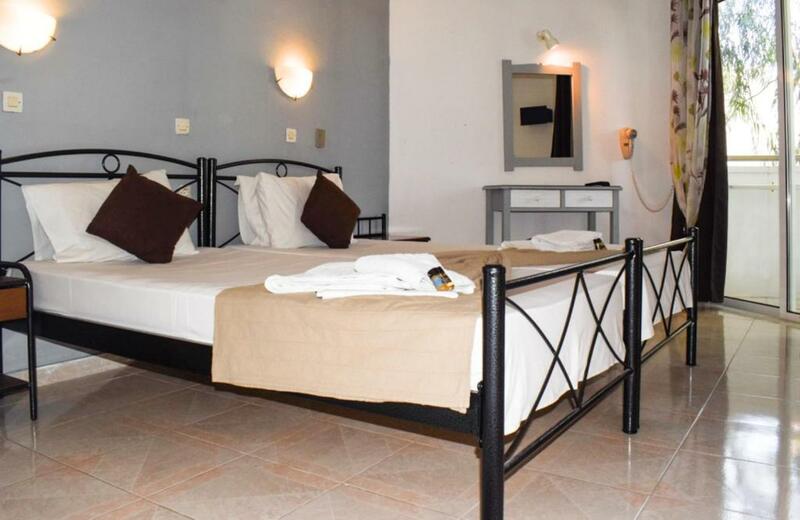 Simply furnished, air-conditioned room with tiled floors and private balcony with pool view. 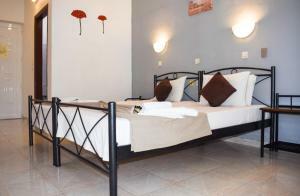 Simply furnished, air-conditioned room with tiled floors and private balcony with garden view. Simply furnished air-conditioned unit with tiled floors and private balcony with pool view. This apartment features a kitchenette, air conditioning and stovetop. It's a quiet environment with a tropical atmosphere with all the palm trees surrounding the pool area. It's close enough to walk to all the important highlights of the area yet far enough to enjoy peace and quiet when you wish. Ideal for any type of holiday you wish . The location is quiet and within a 5 minute walk to the beach. Plenty of restaurants nearby as well as supermarkets all with in a short stroll . The water park is near as well as a mini golf . The area is safe and the wp is not on a busy highway but a small local road . House Rules White Palace Studios takes special requests – add in the next step! White Palace Studios accepts these cards and reserves the right to temporarily hold an amount prior to arrival. The hotel cooperates with a rent a car agency and can deliver your car in the airport or port free of charge. Please contact the manager directly to arrange the details. Kindly note that the front desk does not operate 24/7. Please note that the credit card holder's name needs to match the guest's name. Please inform White Palace Studios of your expected arrival time in advance. You can use the Special Requests box when booking, or contact the property directly using the contact details in your confirmation.